It's Fall, Halloween, Thanksgiving, and soon Christmas. 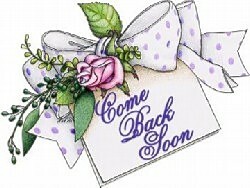 Many of us like to have fun with our home decors, and decorating during this time. Some of us will store buy things to fill our homes, and then there are many of us who wish to be crafty with do it yourself projects. During this time of year, and with the season we see more emphasis with candle holders. Oh, don't take me wrong these are popular all year long with festivities, weddings, celebrations, and etc. During this time of year we just happen to see a few more of them with all the sweet, and yummy smells that we can get from them. 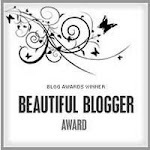 Above I have shared a couple of pictures found to demonstrate a little bit of what I would like to share. These are sure to get some of them creative juices going with some wonderful ideas for our homes. 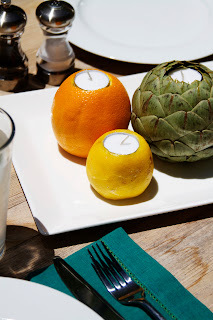 If you like the smells of fruits, lemons, limes, artichokes, and etc this is a fun project to do. Really simple for any of us to do as well. Take your favorite fruit, or with Halloween use some small mini pumpkins and ghords. Make sure to get some tea light candles for this, or you could use a little bigger candle too. Cut a hole into the fruit, or vegetable the size of the tea light candle which is commonly used. You can cut a little bigger for just a little bit bigger candle, or maybe a hole the size to hold a taper candle too. Then put the candles in, and light them up! Neat, cute, and wonderfully smelling too. Another idea you will see from above is using some cinnamon sticks. Hmm...smell those already! Perfect for this time of year too. 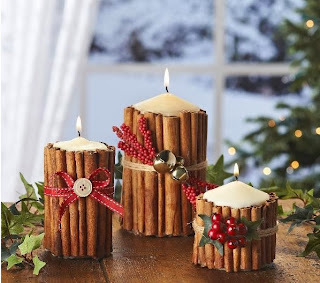 You can either glue the cinnamon sticks to the candle, add some twine, and other embellishments too. You could also glue the cinnamon sticks to a candle holder, and then insert a candle. An idea for those who like cinnamon and apples is to maybe glue the sticks to an apple that has had the center cut from it, and then add a tea light candle to that. Endless possibilities, inexpensive, and what fun this would be too! Hope this helps with some ideas for this upcoming season, and the holidays. 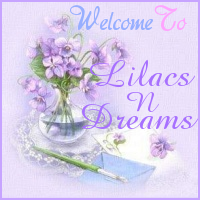 Thanks for sharing some time with LilacsNDreams, and hope to see you again soon. Have fun crafting, and decorating with your decor. Don't forget to share some ideas with us as well.